With summer in full swing, we have been enjoying the beautiful weather and eating as many dinners as possible outside. 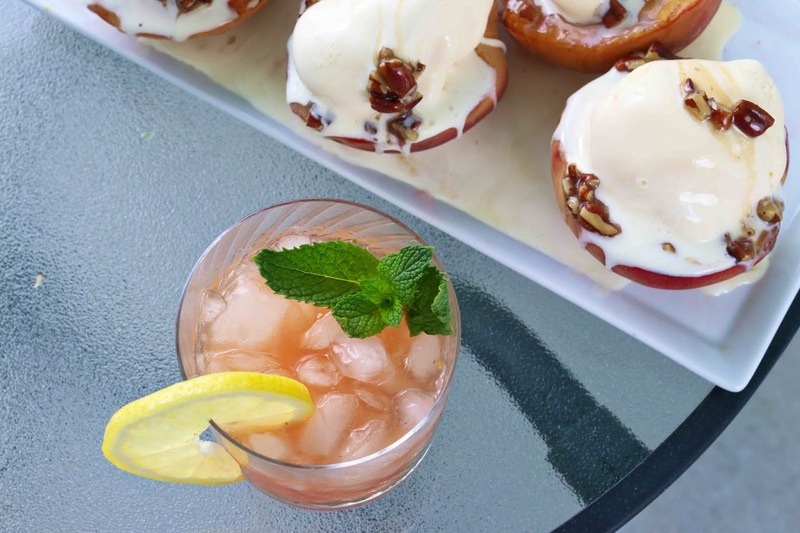 This time of year, I love grilling anything I can, and for our Sunday supper last weekend, we finished our meal with delicious grilled and topped peaches and a peach whiskey smash. South Carolina grows the best peaches, and right in the height of peach season right now, I'm finding anything and everything to do with them. Seriously, how good do all of these ingredients look? Yup, that mint you see there is from my herb garden. If I can grow fresh mint, I know you can, too! 1. 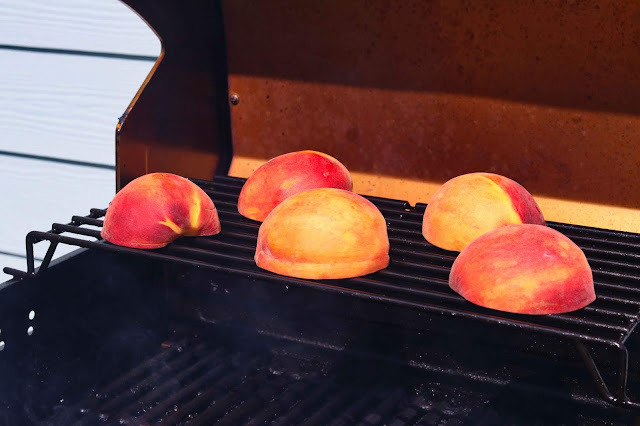 Place the peaches on the grill (sliced side down) and cook for 5 minutes with the lid closed. 2. 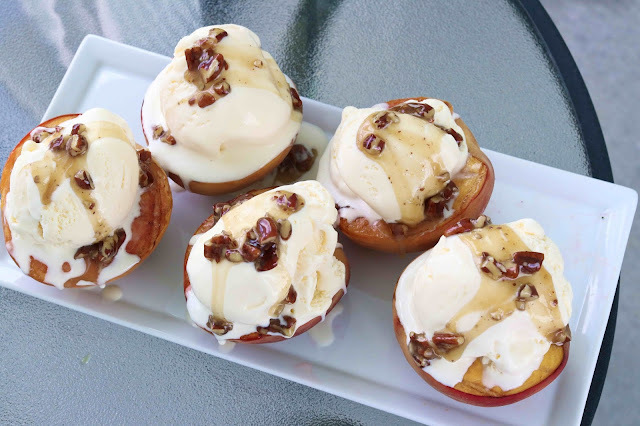 While the peaches are grilling, combine the butter, honey, and pecans in a small bowl and microwave on high for 30 seconds. Stir the glaze and set aside for later. 3. 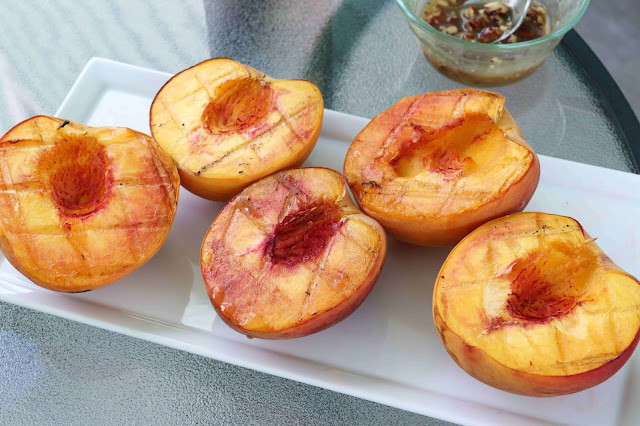 After 5 minutes on the grill, turn the peaches 45 degrees for perfect grill marks. Close the lid again and cook for an additional 5 minutes. 4. 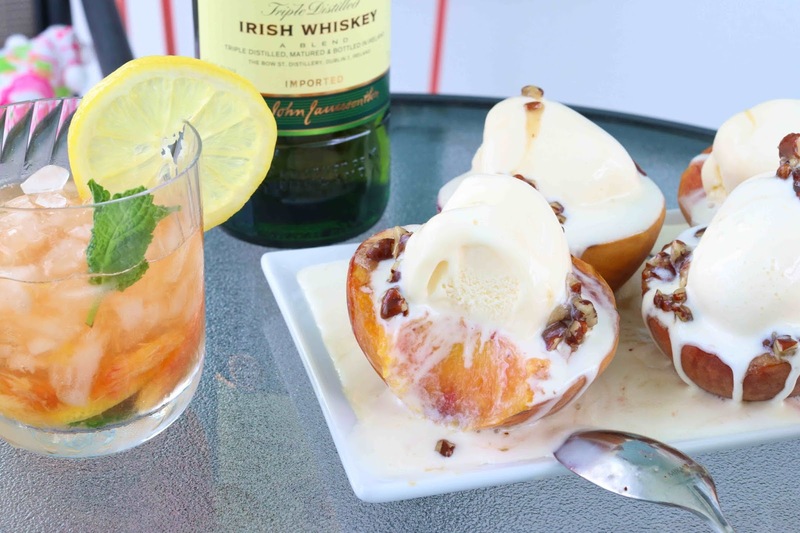 Remove the peaches from the grill and allow to cook slightly before topping each half with a scoop of vanilla ice cream and a drizzle of glaze. 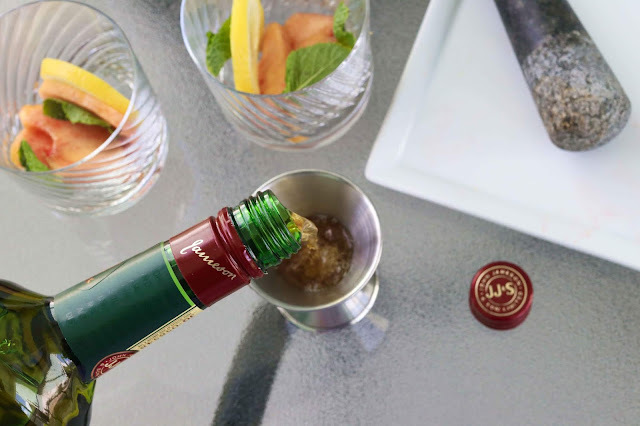 The perfect pairing for any dessert is always a delicious cocktail. Whiskey and summer go hand-in-hand to me, and Jameson is triple distilled and remarkably smooth. If you're looking for more of an island flair for your evening drink, Malibu is an original coconut rum from the Caribbean and tastes just like summertime! 1. 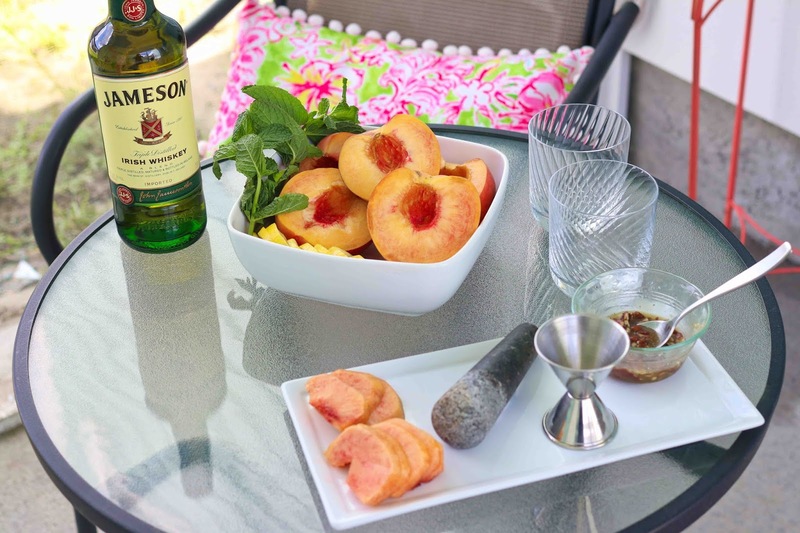 In a low ball glass, muddle together 2-3 peach slices, 1 lemon slice, a couple mint leaves, and 2 ounces of Jameson. 2. Top the glass with crushed ice. 3. Garnish with a lemon slice and sprig of mint. 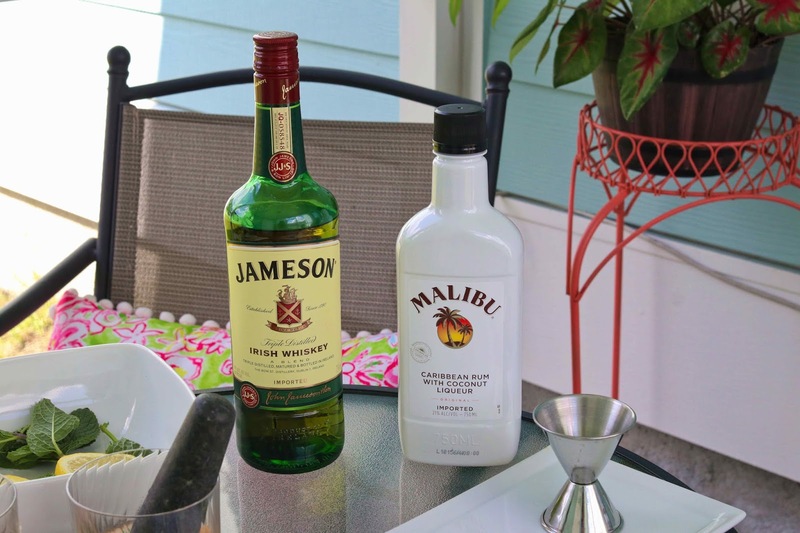 Head to your local grocery store to save when you buy Jameson or Malibu this summer. Through 8/18/18, save $2 in store (Valid in: Alaska, Arizona, California, Kentucky, Michigan, New Mexico, Nevada, West Virginia, Wyoming) or save $3 by mail (Valid in: Illinois, Louisiana, Missouri, Nebraska, Ohio, South Carolina, Washington) on the purchase of any ONE (1) 750ml bottle of JAMESON® IRISH WHISKEY or MALIBU®. 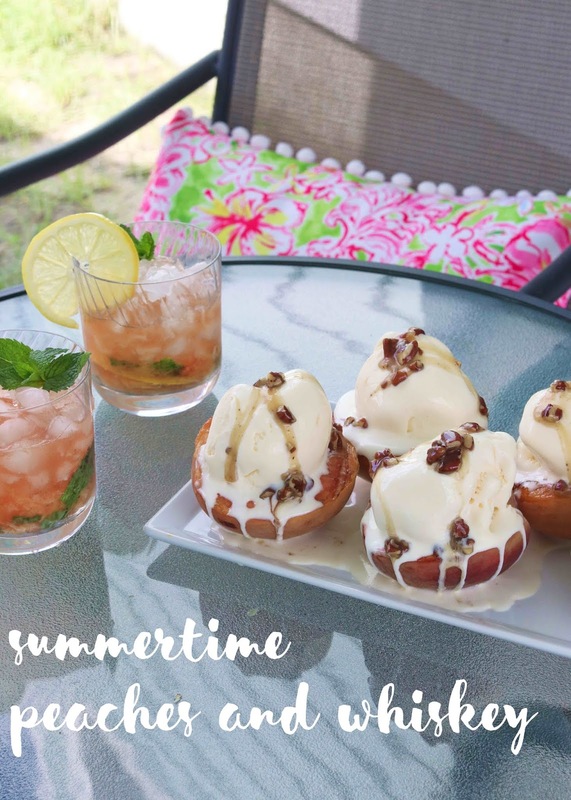 To save these recipes to Pinterest, hover over the image below and click on the Pinterest logo to pin this post to your summertime recipe or cocktail-inspired board! If you're looking for even more Malibu and Jameson originality, click here to check out more recipes, DIYs, and party planning ideas. 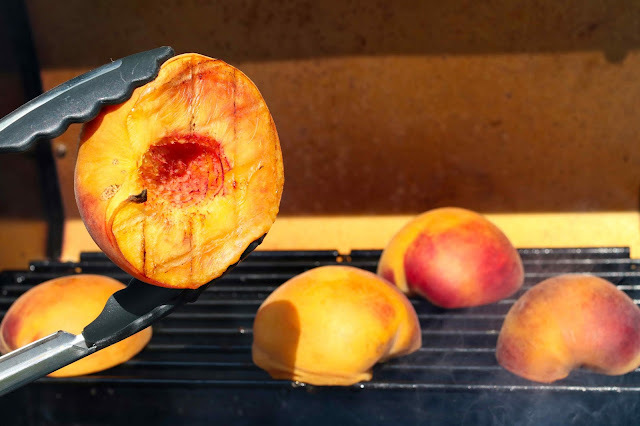 The grilled peaches look tasty!